The National Bank (NBU) could in the near future reduce the rate of mandatory sale of foreign currency earnings for exporters from 50% to 30% or cancel it completely, Deputy Governor of the NBU Oleg Churiy has said. “If we carry out another wave of currency liberalization in the near future, we will remove or reduce these restrictions. Perhaps, we will reduce mandatory sale from 50% to 30%, but this will depend on the macroeconomic situation. Perhaps, we will completely cancel it,” he said. The NBU in the policy of gradual liberalization of the currency market focuses not on temporary restrictions but on macroeconomic indicators and possible consequences, he said. According to the banker, the central bank considers the abolition of compulsory foreign exchange earnings for exporters to be among the priorities of currency liberalization along with the lifting of restrictions on the repatriation of dividends to foreign investors. Ukraine’s international reserves grew by 10.6% in 2018, to $20.8 billion, and in December 2018 the growth was 17.5%, according to tentative data posted on the website of the National Bank of Ukraine (NBU). “It was possible to increase international reserves, primarily thanks to the external financing received by Ukraine and the purchase of excess currency in the interbank market by the NBU,” the NBU said in a statement. As the central bank said, for most of 2018, the currency supply in the interbank market prevailed over demand. In particular, in the first half of the year, a high level of supply was ensured by a favorable external pricing environment for Ukrainian exports and the revival of investor interest in emerging markets. In the second half of the year, a surplus of currency was recorded thanks to the export earnings for a record grain harvest and other agricultural products, the regulator said. At the same time, the NBU said that in 2018, the net purchase of currency in the interbank foreign exchange market by the NBU provided replenishment of reserves by $1.4 billion. 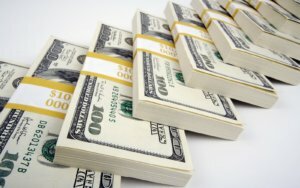 Ukraine’s forex reserves in May 2018 narrowed by 1.6%, reaching $18.12 million as of June 1, 2018, the National Bank of Ukraine (NBU) has published the preliminary data on its website. 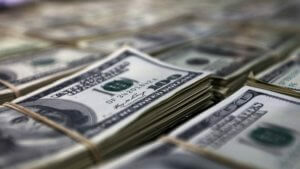 The central bank said that the reduction of the forex reserves is linked to payments on state debt. “Some $455.1 million was paid to the International Monetary Fund (IMF), $214.4 million to service and pay the government’s debt in foreign currency, including $126.2 million on government domestic loan bonds and $18.5 million on sovereign bonds,” the NBU said. The main source of expanding the reserves in May was the purchase of foreign currency in the interbank market. 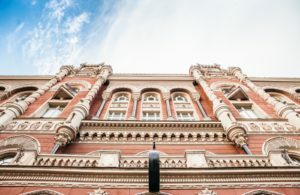 According to the NBU, high prices for Ukrainian exports (metals, ore and grain) contributed to stable currency inflows, as well as an increase in the supply from banks, which the central bank expanded from the beginning of April to conduct its own operations with foreign currency on the interbank market. In general, the National Bank in May bought out $181.2 million in the interbank market. All purchases were made in the form of interventions at the best rate. In addition, last month, the reserves received $272.3 million and EUR 64.6 million from the placement of government domestic loan bonds denominated in foreign currency by the government. The volume of reserves was also affected by the revaluation of financial tools (change in market value and the exchange rate of the hryvnia against foreign currencies) by $162.3 million. In general, as of June 1, 2018, the volume of international reserves covers 3.2 months of future imports and it is sufficient to fulfill Ukraine’s obligations and current operations of the government and the National Bank.